Responding to Microsoft's policy to rely on users' bandwidth to upload Windows 10 updates. The time has come for a standard way to proactively inform users about the bandwidth consequences of downloading (or uploading, in the case of Microsoft's Windows 10) and "experiencing" software, movies, photos, games—you name it. 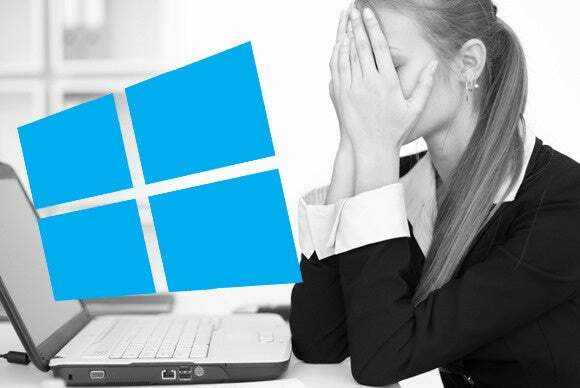 Microsoft's decision to deploy Windows 10 with a function enabled to deliver Microsoft content via a peer-to-peer back door to fellow consumers is an egregious case of a vendor stealing users' bandwidth. This is just the latest example of an ominous trend for software and content purveyors to treat users' Internet bandwidth as a resource to be exploited without users' knowledge or consent, rather than a resource to be shared by choice and conserved whenever possible. Responsible application purveyors should be as bandwidth-lean as possible and should provide information about how much bandwidth a user can expect an application to consume. Although Microsoft's Windows 10-related behavior is especially appalling, the ever-growing resource needs of many applications have potentially bad consequences for a household's Internet connection performance, monthly Internet bill, and, in the case of Microsoft's peer-to-peer sharing, the impact on the Netflix movie being viewed on another device in the home. Most broadband services operate with asymmetrical speeds. The slower uplink can easily be over-utilized by the Windows 10 upload to your neighbor, causing packet loss. Netflix needs a consistent path for the TCP ACKs supporting the streaming movie. A lost ACK causes a "buffer loading" pause to the movie. This is the problem Netflix and John Oliver turned into a cause celebre last year that even rattled the FCC. We wonder if Netflix will display a new banner saying, "If you recently installed Windows 10, Microsoft is ruining your movie experience." The situation calls for transparency that will empower users to make informed decisions, and for vendors to default to the option that uses the least bandwidth. Let users decide if they want a higher bandwidth option. Vendors like Microsoft should not be free to help themselves to users' bandwidth in order to shift their own costs. Back in 2012, we proposed introducing an Internet Consumption Label that would inform consumers about an application's expected bandwidth use. The label would tell users expected consumption in Gigabytes per month. Were such a transparency mechanism in place today, Microsoft would have been compelled to inform people about the anticipated bandwidth consumption of Windows 10, with and without the peer-to-peer content delivery feature turned on. This would give unwary "victims" the knowledge to make the right decision for them, and make it harder for Microsoft to get away with surreptitiously taking advantage of users. An Internet consumption-labelling system can curb such devious behavior. Let's put such a system in place now so vendors can no longer exploit uninformed consumers with impunity.